Its a Wonderful Movie - Your Guide to Family and Christmas Movies on TV: SCHEDULE CHANGE ALERT: Hallmark Channel's 5 Night Thanksgiving Week Christmas Movies!!! 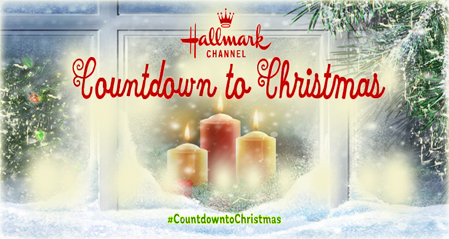 SCHEDULE CHANGE ALERT: Hallmark Channel's 5 Night Thanksgiving Week Christmas Movies!!! *Be sure to stay tuned... as I will definitely be updating the Christmas TV Schedule with this latest news & more - as soon as Hallmark officially confirms it!!! *UPDATE: It's Official! I spoke with Hallmark to confirm this recent change and she said the schedule shift just happened - so, it's a done deal! *NEW TITLE: Thank you, Sherry, for discovering the new title for Brennan Elliott's & Bonnie Somerville's Hallmark Christmas movie! It was previously titled 'Meant to Be'..., but, it has now been renamed 'Love You Like Christmas!' Just about every Hallmark 2016 Christmas movie title (except 3) have Christmas in the title. What are the three exceptions, you may ask... They are: 'The Mistletoe Promise,' 'A December Bride,' and 'Sleigh Bells Ring!' I am rather glad to see they changed 'Meant to Be' - because it just didn't feel Christmassy, and now, of course, it certainly does! Plus our town put up the light display today in the park ... Which even for me seems WAAAY early, though they won't light it until the second weekend of November. Still. Yikes. Trick or treaters haven't visited yet. Thank you SKP - for sharing this one, too! I am updating ABC and the CW now - I so appreciate you sending these press releases!!! Net -- Brennan Elliott's movie is now called "Love You Like Christmas." It's on the Hallmark Channel website. I LIKE the title MEANT TO BE!